Often times when law firms are looking to improve they assess their internal processes in order to find areas that can be improved. However, what options are available for lawyers who want to gauge the health and trends of the industry itself? 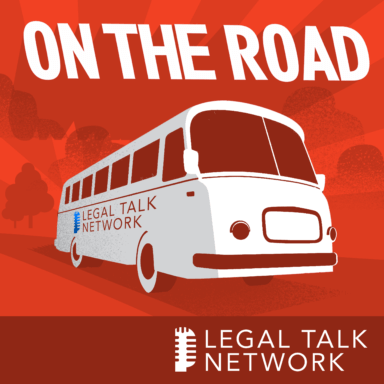 In this report from On The Road, hosts Adriana Linares and Kimberly Sanchez speak with Clio Senior Vice President of Global Sales Steven Silberbach and Clio Vice President of Business Development George Psiharis about the law firm index report and what this data reveals about the legal marketplace. Steven Silberbach is the senior vice president of global sales at Clio. Prior to joining in 2013, he spent 8 years in senior sales leadership roles at Salesforce.com. Steven is a cloud-computing evangelist with extensive experience in building high performance sales teams. Over the past 10 years, he has worked with businesses in every industry to harness the power of the cloud to drive growth, efficiency and innovation. George Psiharis is the vice president of business development at Clio. He specializes in customer development and data operations. George has worked extensively with law schools, bar associations, and other legal professionals to help make information on cloud computing and law firm economics increasingly accessible.